This weekend, We Are Your Friends, No Escape and War Room opened in theaters. 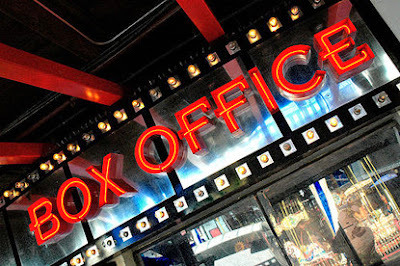 Let's take a look at this past weekend's box office. In its third week, Straight Outta Compton came in first place. This is the third consecutive week Compton has been number one at the box office. No one expected this film to be as big as it's been. It has so far made over $140 million dollars, which is fantastic for its smaller budget. This movie has a great social message about police brutality, freedom of speech and racism, and it's a film that should be seen. It may even get some Oscar buzz later in the year. I am thrilled for Compton's success, and I hope it goes on to make even more money. You can read our review here. 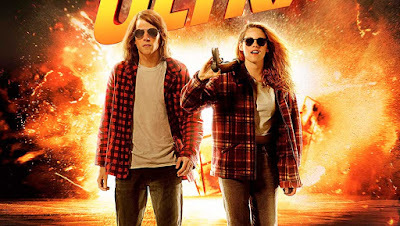 I never really bought into the trailers for American Ultra. I'm not a big fan of Kristen Stewart. While he was good in The Social Network, I don't really like Jesse Eisenberg. The plot seemed dumb. I just never bought into it. Then the movie came out and, even though the Rotten Tomatoes ratings were low, a lot of film reviewers I trust said they had a fun time with the movie. So I decided to check it out. I thought that it might be a dumb action comedy that was just some good entertainment for a couple hours. And in a way, it is. But in other ways it really fails. Food for Thought: Do Blockbuster Movies Need More Experienced Directors? 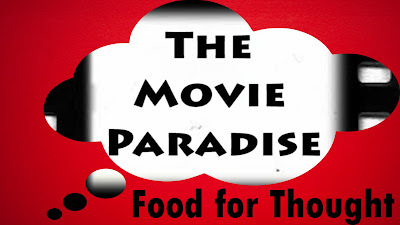 In this new editorial, Food for Thought, we will be taking a popular story in the world of movie news and really analyze it. We'll talk in depth about the pros and cons of the story and really get our hands dirty. 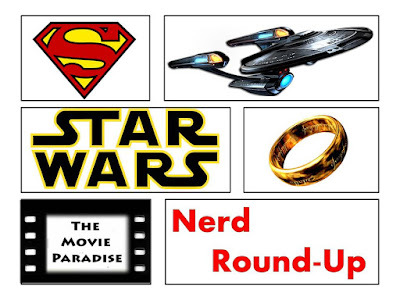 Now, these topics will be more than a casting choice or something we can easily write an article about otherwise; these will feature more grey topics and highly opinionated discussions. So, without further adieu, let's get started! In this installment, we will talk about whether blockbusters need more experienced directors. Marvel had yet another successful year this year with the releases of Avengers: Age of Ultron and Ant-Man. 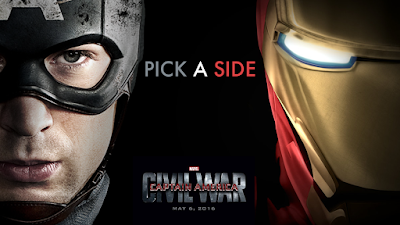 Though they both weren't Marvel's finest work, there were good additions to the overall Marvel Cinematic Universe. Next year will be even bigger, with the release of the highly anticipated Captain America: Civil War and the new flick Doctor Strange. But Civil War is the one in the forefront of the news right now. 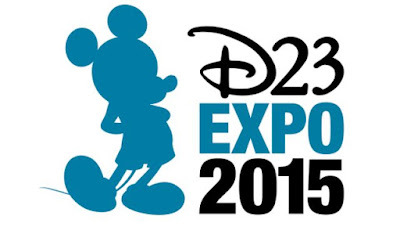 The movie just wrapped filming (which you can read about here), and also debuted footage for the audience at the D23 Expo (which you can also read about here). So with the film's May 2016 release date getting closer and closer, it seems only natural that little tibits would be dropped here and there. And today we may have gotten one of those. 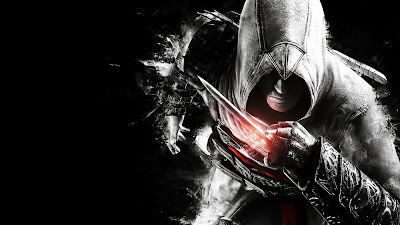 One movie coming out soon that I am very interested in is Assassin's Creed, starring Michael Fassbender. The film will be one of a couple video game adaptations (the other being Warcraft) that are crucial to the future of the genre. Plus, Assassin's Creed is a video game I really like. I have been on board with this film since its inception, and I grew even more excited with the casting of Fassbender, who is one of the best in the business right now. It will reunite him with his Macbeth director Justin Kurzel and co-star Marion Cotillard. Right now the film has a 2016 release date (which may very well change), so some movement had to begin soon with this film. And now it seems some has. This weekend, Hitman: Agent 47, Sinister 2 and American Ultra opened in theaters. Let's take a look at this past weekend's box office. In its second week, Straight Outta Compton came in first place. This movie has been dominating the box office. It has already made over $100 million domestically. 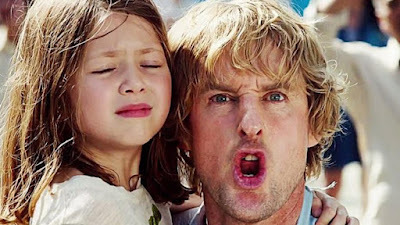 It's looking to be yet another money haul for Universal, which has already broken the record for highest gross for a studio in a year ever (read that article here). The N.W.A. biopic has attracted audiences of all ages, the middle-aged people who grew up with their music, and the new generations who like rap music. And now it's looking like more rap biopics are on the way with Compton's continuous success. You can read our review for the film here. So I got to see an advanced screening of this film, No Escape. It was a really cool experience, but I didn't have high hopes for the film going in. I thought for sure this movie would end up being a piece of garbage. The trailers hadn't sold me on this film at all. It's something I totally would have skipped seeing. But, it was a free screening, so why not take advantage of that? So I saw No Escape, and let me tell you, it surpassed every expectation I could have had. The Martian is a movie I am really looking forward to, but I'm cautious about it. Director Ridley Scott has brought us some incredible movies in the past, but he hasn't been on a role lately. He's been having critical and financial bombs one right after the other. But I have hopes that The Martian can change that. The cast looks incredible, with the talents of Matt Damon, Jessica Chastain, Kristen Wiig, Chiwetel Ejiofor, Kate Mara, Sean Bean, Jeff Daniels, Sebastian Stan and Michael Peña. I also really liked the first trailer. It may have spoiled a little too much, but I still rather enjoyed it. I have high hopes for this movie, and I think it can be a really exciting science fiction thriller. Victor Frankenstein is (yet another) retelling of the classic Frankenstein monster story. This time, the mad doctor is being played by James McAvoy and his helper Igor is played by Daniel Radcliffe. We all know the story: Frankenstein tries to create life by assembling random body parts and making an amalgamation of bodies, which comes to life as a monster. Under the direction of Paul McGuigan, Victor Frankenstein puts a new twist on the story by changing up the mythology. Dr. Frankenstein is not an older man, but a young man full of ambition. Igor is not a hunchbacked monstrosity in of himself, but rather a brilliant scientist who serves as Frankenstein's partner. I think the story of Frankenstein is a fascinating one, and it is definitely one of those source materials that is ripe for a new interpretation every few years. However, this trailer did not do it for me. This is the second part of the breakdown. You can see Part One here. This is the first part of the breakdown. You can see Part Two here. Fantastic Four Failure- What The Hell Happened?